Recently I found myself in need of some new specs. I previously had my old ones since high school (eek!) and I had really only been using them at night time. My doctor recommended that I get some larger frame glasses to help with my headaches, so after my most recent eye appointment, I turned to the interwebs. 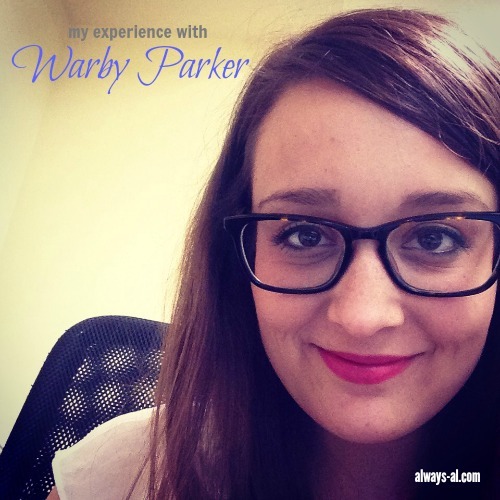 I had heard good things about Warby Parker, though nobody I knew personally had ever purchased from them. People had done the at home try on kits, but never made a purchase. Their glasses are very affordable and stylish, which are two of the main things I was looking for. The first thing I did was schedule an at home try on. With Warby Parker, you are able to choose five pairs of glasses that you want sent to you for free. You have three business days with them to test them out and see how you like them. You don't have to purchase at the end of your try on, but it's recommended. Below you can see what was in my try on. Warby Parker provides you with free shipping to send your try on back to them. The whole process was extremely easy and straight forward. I did end up choosing one of the pairs that were in my try on. I chose Welty frames in Whiskey Tortoise. These are acetate frames, and they feel like they are pretty good quality. And they only cost me $125 (it is a little bit extra for thin lenses). I do have to say, that even though they feel like they are good quality, you definitely get what you pay for. The quality of these glasses is very good, but by no means compare to some lenses that you can buy from doctors offices that you'd pay much more for. Ordering my glasses was extremely easy. You seriously just email the company a PDF of your glasses perscription and yor order, and they arrive to you in a few days. They have an amazing social media presence that you can Facebook, Instagram or tweet comments or questions to. Or even if you want help deciding which glasses in your at home try on look best on you. 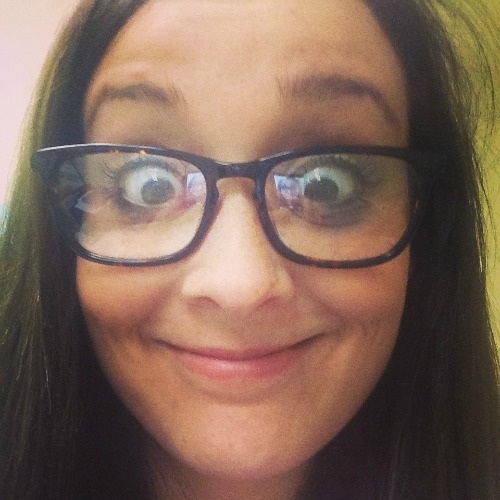 I would definitely recommend Warby Parker to anyone who is looking for a cheap pair of glasses, or for some fashion glasses that they'd like to change often. They are definitely worth the money you pay for them, and they are great to work with. I mean really, don't you all want to look that cute? **This post was not sponsored in any way by Warby Parker. I just really like my new glasses, and get lots of questions about them and compliments on them. I don't like to order online because I can't try them on. I'll definitely keep this in mind! I have been thinking about ordering online, but have been leery. Thanks for this. Oh, and your glasses look too cute!